Here, when you click on >_TSD link, you will land on http://definitelytyped.org/tsd/. Here, when you search for the desired library, it will list the desired file, which you can then download from here and add the same in project. 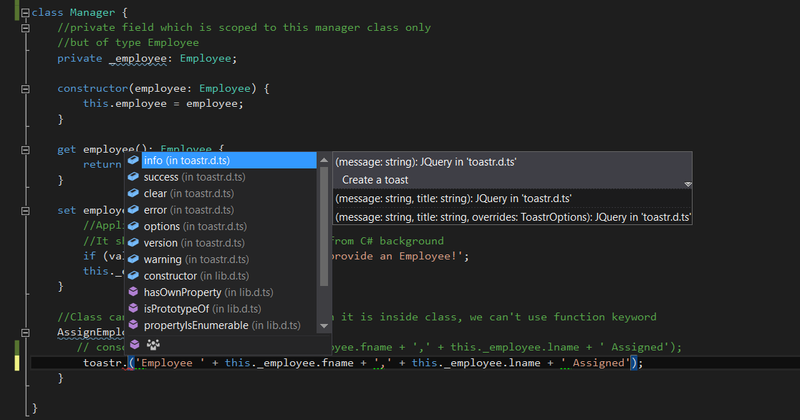 Similarly, I also need Toastr library as shown below. Now, let me show the files, which I have included from the portal. 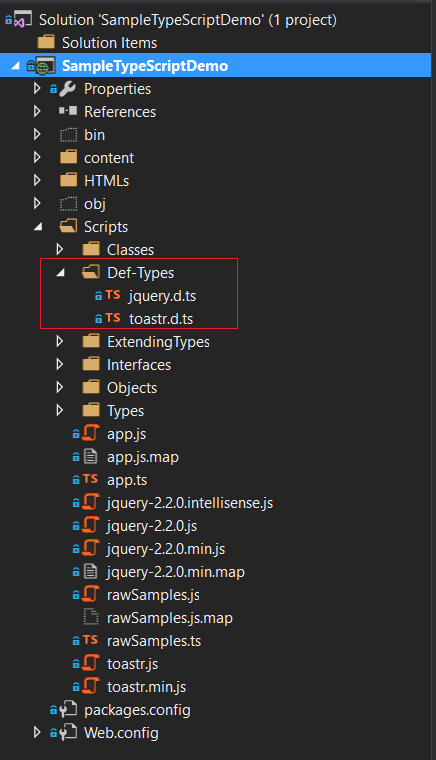 Now, Toastr file has a dependency on Jquery file, hence, In that toastr file, I have added the reference of Jquery at the top as shown below in the screenshot. After, that I have modified my script as shown below in the snippet. Now, after including third part library in the TS file, you can get the intellisense of that library as well as shown below in the screenshot. 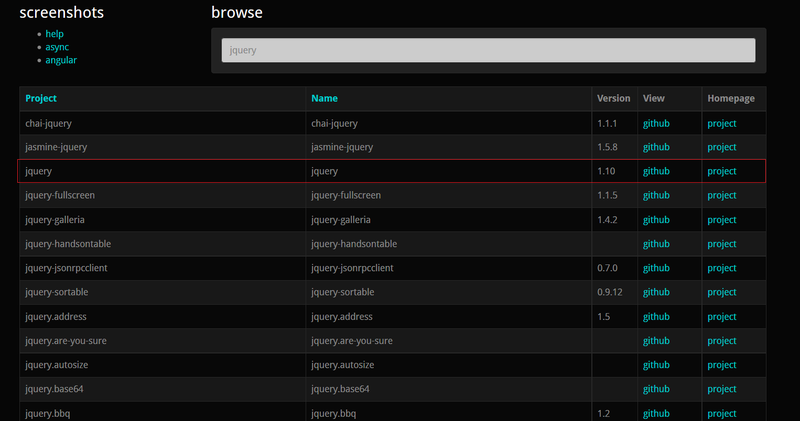 Apart from this, I have also modified the HTML file to fix the Jquery dependency and other CSS stuffs like shown below. I hope, you would have liked this discussion. Thanks for Joining me. We’ll continue delve further. Till then stay tuned and Happy Coding.